So this is happening. Sigh. If you like SW:FU, you should just skip to flaming the comments. The timing of the announcment is interesting as I only recently tried to make myself play it. Steam tarted it about on their front page for fifteen of my dollars, and my resolve lapsed. The main problem with this game is that it isn’t Jedi Knight 3, or Jedi Academy 2, or whatever Raven’s next entry in that treasured series might have been. It’s just not fair to either of us to keep playing SW:FU like I wish it were something else. ‘FU’ is certainly an appropriate appelation for this game. Every time I load is a new way for the game to screw me. A giant stormtrooper has a tiny lightsaber and lightsaber-blocking shield on his arm, and that affront to the Star Wars fiction isn’t even the bullcrap. When he rears back his arm to swing, I figure cutting his legs off with my lightsaber should be an effective strategy. Not only do his legs not come off, his attack continues uninterrupted. Is the player granted the same courtesy? Of course not. There must have been a transitional period between episodes 3 and 4 where an uncommonly lightsaber proof grade of stormtrooper armor was being produced. Perhaps they were changing vendors or trying to get the costs under control. And how is the force being unleashed, exactly? 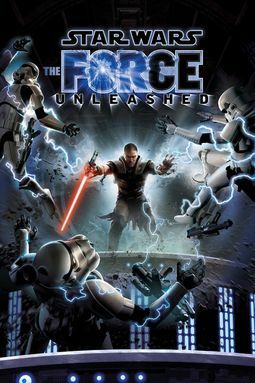 Can’t we agree that putting “unleashed” at the end of your title doesn’t create automatic, vague awesome? In fact, I posit that the opposite is true. Someone must have leashed the force again in the intervening time, to require a second unleashing. I wish they’d quit it. I wonder who likes quick time events? A lazier game mechanic is hard to imagine. Rather than allowing the player to continue to interact during crucial moments, the game turns into a movie propelled by arbitrary button presses giving the illusion that the player is still involved somehow. I suppose I’m supposed to be on awe of just how much Force is being unleashed at those moments.